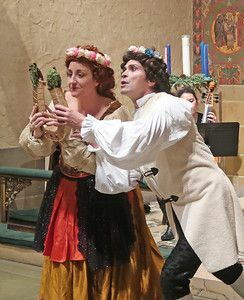 Concert Proposal - Gotham Early Music Scene, Inc.
We are now accepting proposals for the 2019-2020 season! Please read the details below and click on the link at the bottom to submit your proposal. Offering 40+ distinctive FREE weekly concerts, our series aims to promote local professional artists at all stages of their careers, enlarge and diversify the audience for early music, and enhance our vibrant early music community. We are proud to provide performance opportunities for over 200 artists and to serve over 4,000 audience members each year. 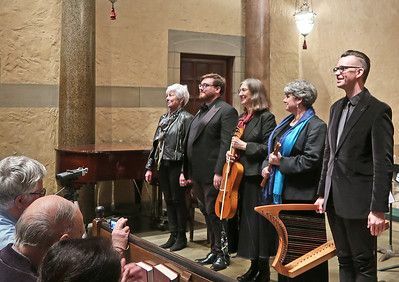 Each program features historically informed repertoire on period instruments, making a meaningful contribution to New York’s cultural offerings. • The series provides a great venue for high-quality performers to experiment with new repertoire or present an established program, while gaining new local audiences. It also provides new ensembles an introduction to the city’s early music aficionados, and touring groups a New York City performance credit. • Each program is given a full page on our website, a listing and photo in our full-color 12-page brochure, and will be featured in our bi-weekly newsletter Notes on the Scene. In addition, we send out a monthly press release to over 300 media contacts. • Artists/ensembles are PAID an honorarium, as noted below. 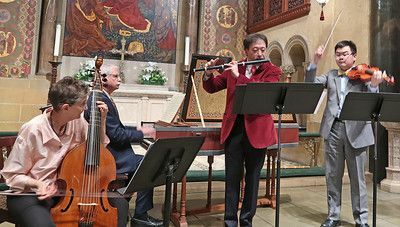 Our series comprises weekly concerts of 40-45 minutes each, Thursdays at 1:15, at the Chapel of St. Bart's Church on Park Avenue in midtown Manhattan, from September through June. it is intended to showcase music from roughly 1100-1800, performed in historically-informed style, on period instruments. Preference will be given to ensembles that have made a long-term commitment to performing with one another, though ad hoc groups offering an innovative or especially interesting program concept will be considered. • No crossover music with other genres, or arrangements of large pieces, i.e., no vocal recitals of early opera arias with solo harpsichord accompaniment replacing orchestral instrumentation. If you have a special program that you feel is worthy of consideration (for example, a modern composer has written music for your period instrument ensemble), e-mail us, and we will tell you if it is acceptable for the series. Midtown Concerts can supply a basic Flemish single manual harpsichord. It will transpose for a'=415 or 440 Hz. It is 8' x 4' with a buff stop, all with stop levers in the keywell. The range is from C' to d"' (51 notes). Plastic jacks and plectra. It is fine for continuo purposes; if you are proposing a solo recital or repertoire requiring a more sophisticated instrument, you probably should plan to bring your own. We cannot pay rental or cartage, however. YOU will be responsible for the tuning, and assisting in moving and setting up the harpsichord (which is stored at the venue, but not in the performance space itself) both before and AFTER the concert. If you cannot tune, please do not submit a proposal. We do not provide an organ or a fortepiano for the concerts. We will accept submissions from performers who propose to move and tune their own instruments. Unfortunately, our budget does not provide for cartage or reimbursement. Each concert will be recorded. With your permission via signed release, it will be available for later broadcast/webcast on one or more classical radio stations. You will have an opportunity to listen to the recording and withhold any or all pieces from broadcasting. Concert images and videos may be posted on the Midtown Concerts blog and Facebook page. We are creating a Midtown Concerts YouTube channel, and, with your permission, we will post videos of your concert. Proposals will be reviewed by a selection panel comprising GEMS staff, professional musicians and critics, and knowledgeable audience members convening in late May. As we often receive more proposals than there are concert dates, not all proposals will be accepted. We make choices based on overall programmatic considerations, frequency of any prior appearances, logistics, etc. The online form automatically goes "off-line" at the deadline. To be fair to everyone, we will not consider deadline extensions for any reason, including technical difficulties. Allow sufficient lead time to build and submit your information; please do not wait until the last minute. You need not complete the proposal all at once. For artists with websites and the usual complement of publicity assets, experience has shown that the proposal can be finished in about 30 minutes. • June 1: All artists will be notified of selection results. • June 5: Scheduling begins. We confer with you to establish workable performance dates! All required materials requested in the online proposal form must be submitted, including programs, for a contract to be issued. In addition to basic contact information about you and/or your group, we ask for a program title and description, instruments used, bios, photos, and links or uploads to audio files illustrating your work. • When uploading audio samples, please try to include a recording of your entire ensemble. If possible, include audio samples that best represent repertoire in your proposal. • Please submit professional photos, no selfies. If you do not have a picture of your group, please submit personal headshots of each member. • Settle on your artists and repertoire as accurately as possible before submitting. Ensure that all of the information that is public-- concert title, description, and list of personnel and instruments-- is accurate. Our publicity begins in August, including the printed brochure which lists the entire season, and we would like to avoid confusion. • You may submit more than one concert proposal with separate programs. CHANGING YOUR PROGRAM after your contract is issued: our brochure lists the entire season. After printing, we can allow only minor changes in repertoire or personnel, since many patrons rely exclusively on the printed brochure. If you must make last-minute changes due to artist illness or similar unavoidable events, please let us know as soon as possible. We pay a modest honorarium of $125 per performer, with a total cap of $625 per concert. We also provide a high-quality recording, program booklets, a CD sales table, publicity, and front-of-house services. We do not pay travel expenses, cartage, or instrument rentals. If you have questions about the proposal process, please feel free to contact us via email or phone (212-866-0468). When you click the link below, your online form will be launched. You need not complete the proposal all at once; you can revisit and edit it any time before the deadline. We encourage you to allow enough time to upload and review the required materials to be certain that they best represent your vision as effectively as possible. Once your form is submitted, you will receive an email confirming that your proposal has been received.